If there's a shortage of clotted cream in the British Isles, feel free to blame my recent visit to London. As usual, I overdosed on Darjeeling and scones laden with liberal servings of my favourite (note the spelling) dairy product. 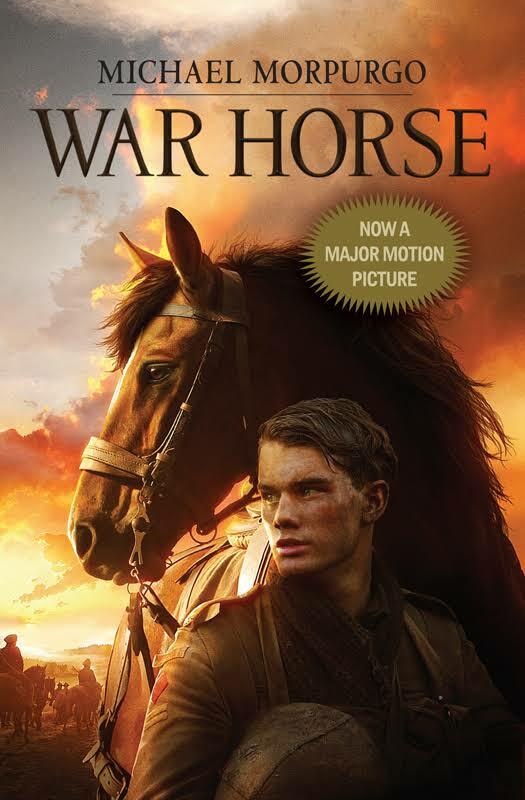 My husband suggested that we see WAR HORSE in the theater, and I reluctantly agreed, curmudgeon that I am when it comes to literary adaptations. Let the record stand: I didn't see the film. The curtain went up, and to my amazement, I was hooked within minutes. 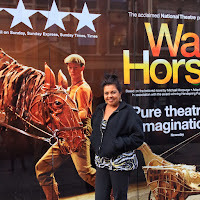 Much of my pleasure was derived from the creative puppetry provided by South Africa's Handspring Productions. 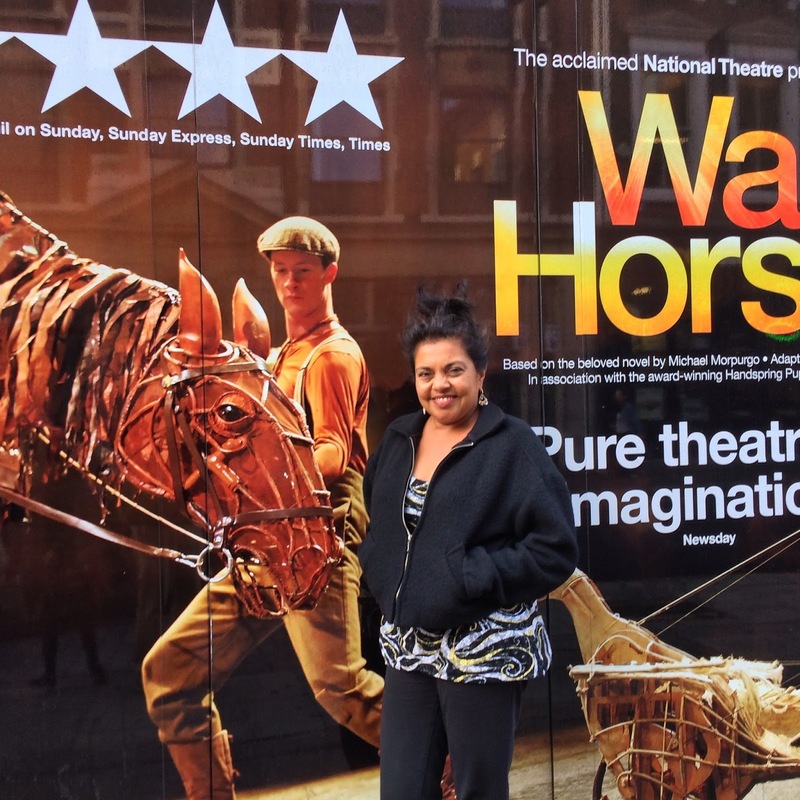 These artists made it easy to suspend disbelief and cheer for the beautiful horses on stage. I popped into Blackwell's Bookshop in Oxford to buy a copy of the book by Michael Morpurgo and read it on the flight home. The novel is delightful, but the stage production takes it to a new level thanks to the added talents of directors, actors, stage designers, and most of all, the puppeteers. I stand corrected about theatrical adaptations, at least when handled with excellence in craft and story. And I'm more hopeful and excited to see what the creative team at the Bay Area Children's Theater will do with their adaptation of my novel RICKSHAW GIRL, premiering April 16, 2016 on the stage of the Creativity Theater in San Francisco.